For glamping, festivals and homesteads. The Star Dome is a streamlined equivalent to a yurt, with integrated lighting, laminate beams and highly decorative patterning. It is a versatile structure, being at home in the glamping field, at a festival, or in your garden. Held together with slot in laminate beams with patterns cut into them with lights inside. Standing room up to the edge. The dome comes with a slot together raised floor. The door is a solid plank door with intricate carvings. The canvas opens up around the edges for summer ventilation. Room for a woodstove is provided, we can even supply the stove. 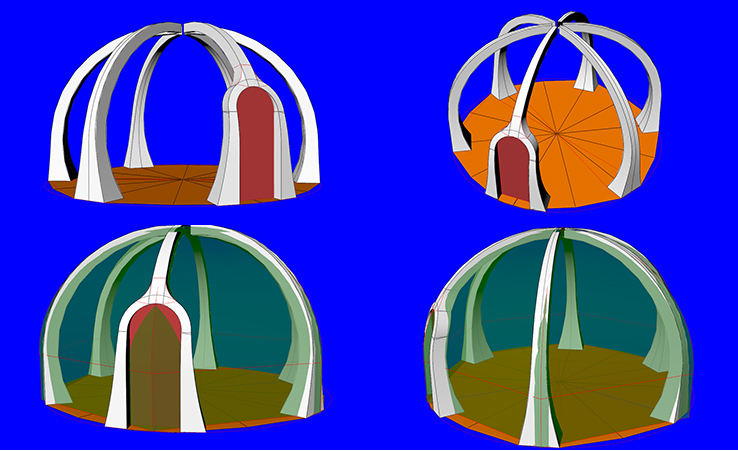 The dome is transportable with a van, or beams all slot together and fit into a car. The canvas can be traditional cotton canvas or Regentex which is more durable but more expensive. Windows can be put in upon request. 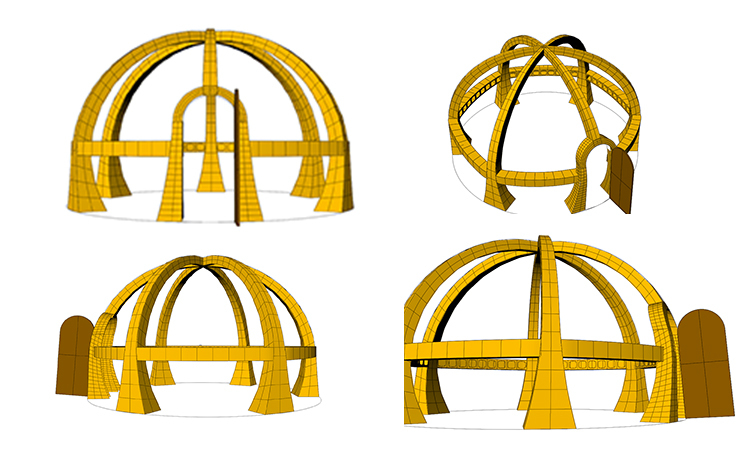 The dome is now fully designed, and the first one needs to be built. 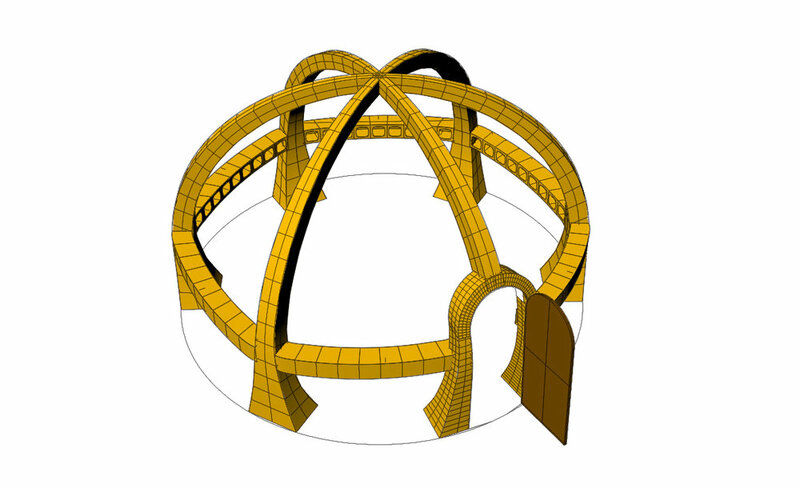 We are looking for someone to fund the building of the first dome, in exchange for the dome (c.half price) upon completion. This gives us opportunity to iron out any teething troubles or design issues and to put together a streamlined package ready for sale. With the first dome we can take pictures, build a website and begin the selling process. We are looking to have a completed and tested dome by the early springtime, so we can begin selling in the spring/summer 2019. Advertising will be through website/social media, web contacts, festival and glamping contacts, writing to glamping sites and festivals with promotional material, potential magazine articles, talking to people. If you are interested in the dome or in helping us out, please do be in touch.